Honest Website Marketing | More conversions, more sales, guaranteed! Now…How Do We Do it? Books have been written on each item above, much less the main “Find, Nurture, Close” categories. So although it is tough to do these subjects justice quickly, there’s a little more detail on what we mean by this below. As always, if you’d prefer to chat with a real human being by scheduling a 60-minute strategy session about your business and your goals, call (800) WEB-6006 now and we’ll set it up. One of the mistakes a lot of marketers make is to try to market too broadly. No matter what you’re selling, only a small sub-set of the people you could get your message in front of are good prospects. You will have much better success when you market to a much smaller target—and you almost can’t find too small a niche. One big-time Internet marketer tells how he built a tidy little business selling information about “Worm Composting.” Talk about a sub-niche of a small niche! You start by defining your perfect prospect. Ask your existing customers why they bought. Do PPC ads and send people to a survey page and offer them a discount or some other high-value “bribe” in return for completing the survey. Find out as much as you possibly can about that perfect prospect. Design all your marketing to attract and appeal to that person. When you get that prospect to your site, you don’t try to close him right then, any more than you would ask someone to marry you on the first date. You will have much greater success in the long run if you instead offer something of value in exchange for your prospect’s email address. People buy from those they know, like and trust. 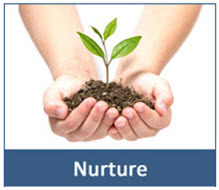 The “Nurture” phase of the “Find, Nurture, Close” process is where you get your prospect to know, like, and trust you. It’s also where you prove your expertise. An autoresponder is a service that will help you easily build an email list of your prospects, and allow you to automatically send out a series of personalized emails. You write them in advance, and schedule them so that you can send, for example, a “thank you for subscribing” email immediately, and some valuable content the following day to reinforce the fact that the new subscriber should open and read your emails. Then maybe you wait a few days before sending another email with great content, and at the bottom tie it in to a product or service you offer – GENTLY. The next email, a few days later, is pure content—valuable information that reinforces your expertise and your desire to truly connect with the reader and offer value, not just relentless pitches to buy something. The next email is the same. Maybe an offer in the next email, but coming from a position of sharing something valuable. By repeatedly giving value and information, you demonstrate that you actually do have your prospects’ best interests at heart, and that you are knowledgeable and trustworthy. 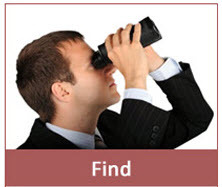 You’ve found your perfect prospect. OK, some of them aren’t perfect, but you’ve done your best to attract the prospects most likely to buy. 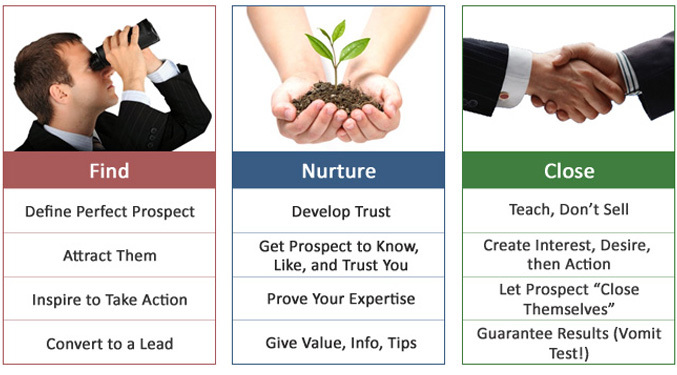 You’ve nurtured the relationship, getting your prospects to know, like, and trust you. You’ve proved your expertise, and that you really have your prospect’s best interests at heart, and that you’re not just a quick-hit expert only interested in a sale. But, bottom line, you do have to get sales, right? You do that by creating interest, then desire, then action. The more you can incorporate those ideas into your process, the better you’ll do. When you do it properly, your prospect will eventually buy just in the natural course of events. She’ll close herself. One of the most important things you can do is offer a guarantee that is so strong that it passes what one very successful marketer calls the “Vomit Test.” It’s so strong it almost makes you want to vomit. There’s a lot more, of course—and we can help you with all of it, including leveraging the initial prospect in ways that get you more prospects, more customers, more bottom-line profits. 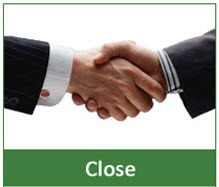 If you would like more detail on the “Find, Nurture, Close” process, The Wright Process is an extensively-tested, in-the-trenches approach to starting slowly, carefully, and intelligently so that you can absolutely dominate your market – AFTER you’ve gotten your core process optimized. If you would like to browse around a bit and get to know us a little better, just check out the tabs above, or go to our About page next to see if we are your kind of people. If you would like to go straight to a free one-hour Strategy Session that’s guaranteed to get you at least one great, actionable piece of information, just go here. Recently Listed on Best of the Web!